Children of all ages are invited to participate in Worship. Bulletins for ages 3-6 and 7-12 are available from the ushers. Worship Bags, containing a book and materials to write or draw with, are in the stairwell between the Narthex and Gathering Space. Feel free to use these resources during worship, and return bags after the service. During worship, God's Garden begins after "Sharing Faith With Children," which takes place about 15 minutes into the service. 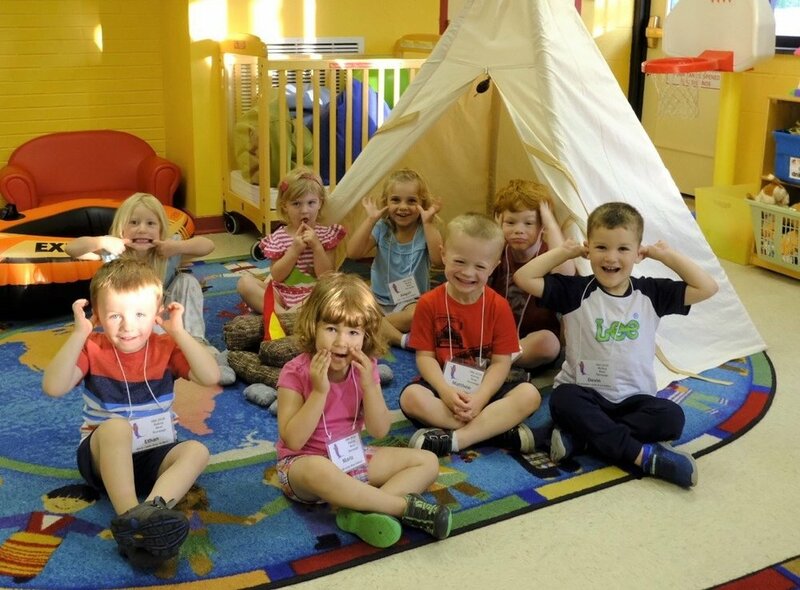 Caregivers meet children ages 3 through Kindergarten for a time of nurture and supervised play in a preschool room (downstairs next to the elevator and Nursery) or on the church playground. Loving Nursery care is offered for babies up to 3 years of age during the Sunday School and Worship hours. Our Nursery is located on the lower level near the elevator. If entering from the parking lot, turn left and go to the end of the hall. There are always at least two caregivers, who are usually paid staff that have passed a background check. We are blessed to have wonderful Sunday School teachers who make bible stories come alive as they get to know each child. We hope children will feel at home, ask questions, and grow in their knowledge and love of God. Preschool - Kindergarten class uses Spark curriculum from Sparkhouse. Classes first grade and older use Feasting on the Word curriculum which follows the Common Lectionary. Sunday School starts at 9am. 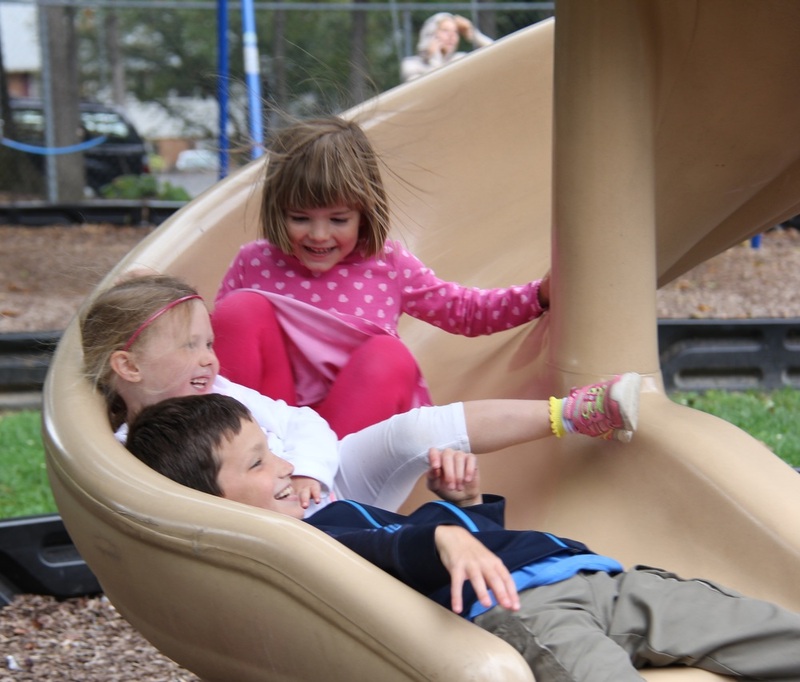 The Children's Ministry hosts several fellowship events for the entire church-family during the year such as the Fall Festival with pumpkin carving, the Gingerbread House Decorating potluck dinner, and an Easter Egg Hunt. Check out the Events calendar to see upcoming events! We also help others in our midst by serving at the Interfaith Food Pantry. Join us as we share God's love with one another. BPC holds evening Vacation Bible School during the summer to learn more about God's love, have fun and feel God's gift of grace for us. In 2019 it will take place June 16-20 from 5:30-8:00 PM. We began with supper, then a joint session with music and bible story skits. There were classes for children up through 6th grade. For more information on this year’s VBS, click here. Starting in August of 2016 our program will be open on Monday through Thursday mornings from 9 am to 12 pm. Children may register to attend one to four days a week, depending on needs of your family and child. The program is designed for children 12 months and walking through 4 years old. For more information check out the information sheet below.